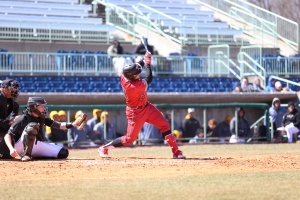 After starting the year 1-13, the Youngstown State University baseball team has been finding a much better rhythm as of late. Despite a loss to the University of Pittsburgh, 9-5, on Tuesday, the Penguins have won four of their last five games and six of the last eight. After that series, the Penguins won a game on the road against Eastern Michigan University, 9-7, in a suspenseful victory. They then followed that up with a sweep of the University of Illinois-Chicago with 3-1, 7-2, 6-5 wins, respectively. Collin Floyd struck out 10 batters in game one of the March 31 doubleheader and Colin Clark came in to induce a game-ending double play with the bases loaded in the nightcap as they completed the sweep of UIC at Eastwood Field. The Penguins have now won six of their last eight games and are tied for first place in the Horizon League standings with a 6-3 conference mark. 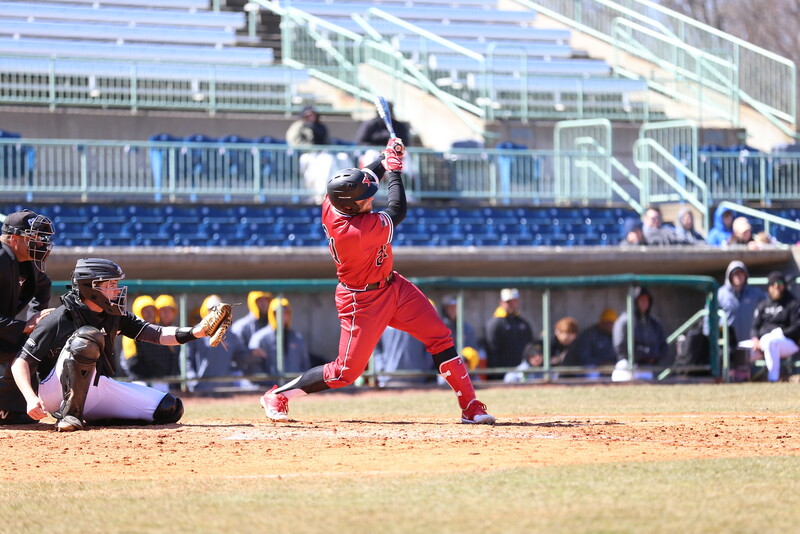 YSU also earned its first three-game sweep of a Horizon League series since 2012. Jeff Wehler was 4 of 8 with four RBIs in the doubleheader, and Drew Dickerson had three hits, drove in three runs and scored twice. Floyd earned his third straight conference victory in Saturday’s opener, allowing two unearned runs on four hits and just one walk. He earned Horizon League pitcher of the week after that performance. Andrew Kendrick (#21) swings through a pitch for a hit against Northern Kentucky University. The Penguins were able to take two out of three from the Norse. The Penguins had scored two runs in three straight innings to give him a 7-2 lead when he handed the ball to the bullpen. The Penguins answered in the bottom of the third as Blaze Glenn walked with one out and scored on a double to deep center field by Dickerson. Dickerson stole third and scored on sacrifice fly from Andrew Kendrick to put YSU in front 3-2. YSU would add to its lead in the bottom of the fourth when Cody Dennis singled, Trey Bridis walked and Zach Lopatka was hit by a pitch to load the bases with one out for Wehler. Wehler ripped a double to left center that plated Dennis and Bridis to increase the lead to 5-2. Kendrick began the bottom of the fifth with a walk and advanced to third on a ground-rule double down the right field line by Dennis. Lou Cardona followed with a pinch-hit, RBI single to left that scored Kendrick. Lopatka followed with an RBI single of his own to increase the YSU advantage to 7-2. 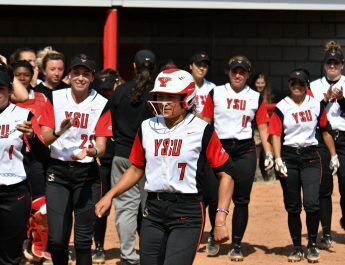 Youngstown State jumped out to a 6-0 lead after two innings in game two, but it had to fight late to finish the sweep of the Flames in a tough game. In the bottom of the first, Nick Massey and Wehler hit back-to-back one-out doubles for the first run, and the final three runs of the inning all came with two outs. Dickerson singled to right to plate Wehler, and Kendrick followed with a home run. The Penguins used two-out magic in the bottom of the second as they extended their lead to 6-0. After Lucas Nasonti doubled and Bridis walked, Wehler’s two-out single to plated Nasonti. Glenn’s infield single loaded the bases, and Dickerson walked to bring in Massey. UIC started its climb back in the third as Scott Ota hit a two-run homer. The Flames added a run in the fifth to make the score 6-3, and Alex Dee’s leadoff double in the eighth cut the margin to 6-4. In the ninth, Ogata and Dominic Smith started the inning by walking on full counts to put the tying run on base. They moved into scoring position on a sacrifice bunt, and Dee was hit by a pitch to load the bases. Riley Hebert then walked to bring in a run, and Clark was called on to get out of the jam. He did so with a double play. Lopatka allowed four runs on three hits and two walks over the first four innings. Joel Hake was awarded the win after recording three outs over the fifth and sixth innings, and Clark recorded his first career save.